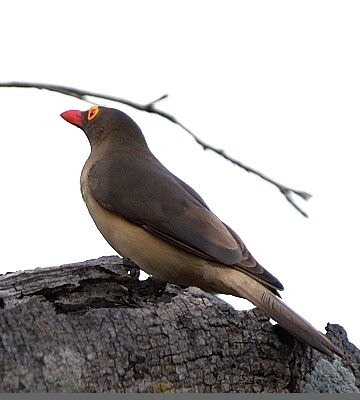 Fledges have a yellow bill which becomes brown in the juvenile and then red between two and seven months. 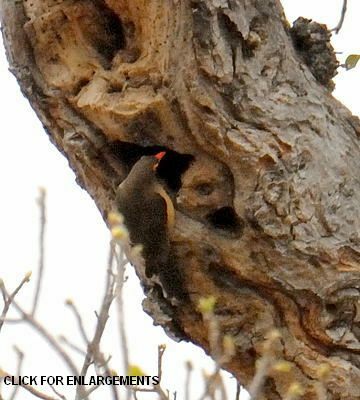 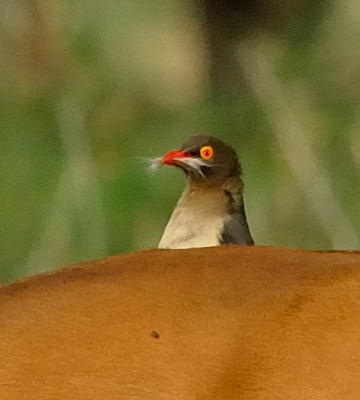 The red-billed oxpecker usually nests in natural tree cavities lining it with hair from hosts (bottom photos) and are often seen on animals near water. 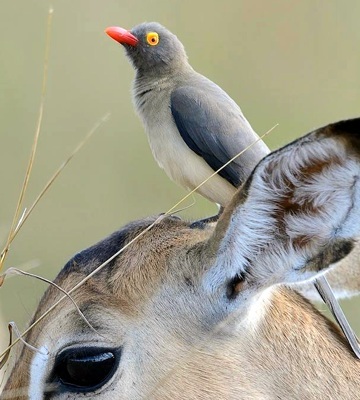 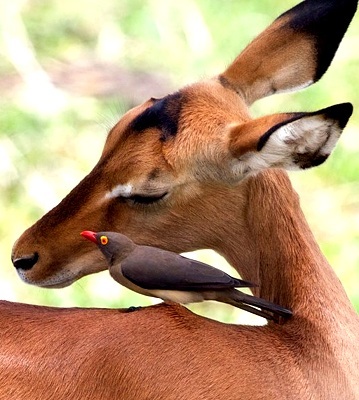 The oxpecker on the impala's head is courtesy of Per Holmen (Mikumi, 7-14). 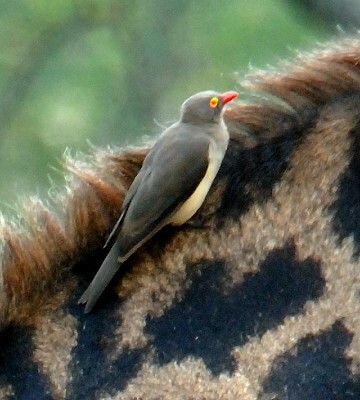 The left 2nd row photo (Ngorongoro Crater, 11-16) is courtesy of Linda Bushman; right 4th row, (Silale swamp, 2-17), courtesy of Paul Oliver. 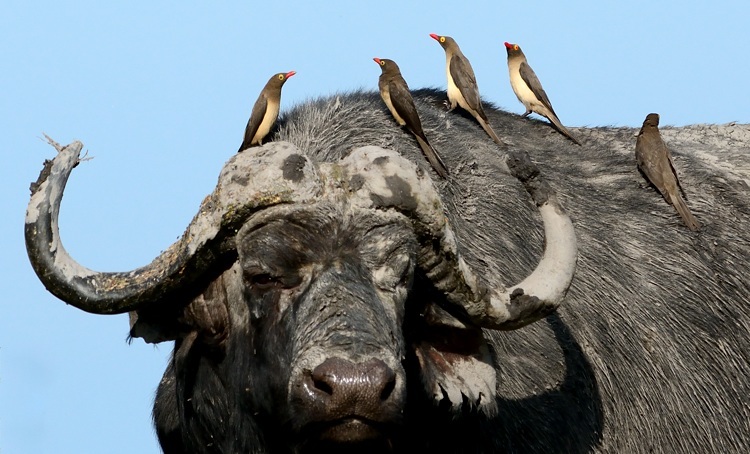 The other photos were taken in Arusha NP, Katavi, Tarangire, Nanja Dam and Chobe NP (Botswana). 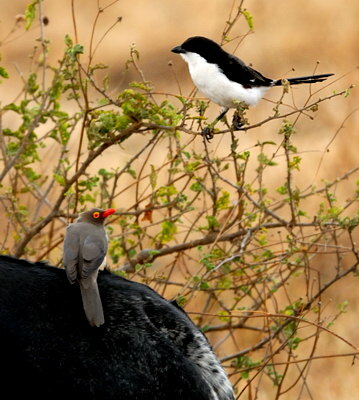 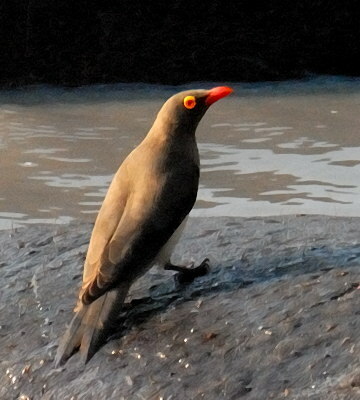 Click the nest photo above (Tarangire, 9-08) to see 13 enlargements including immatures.